Q. 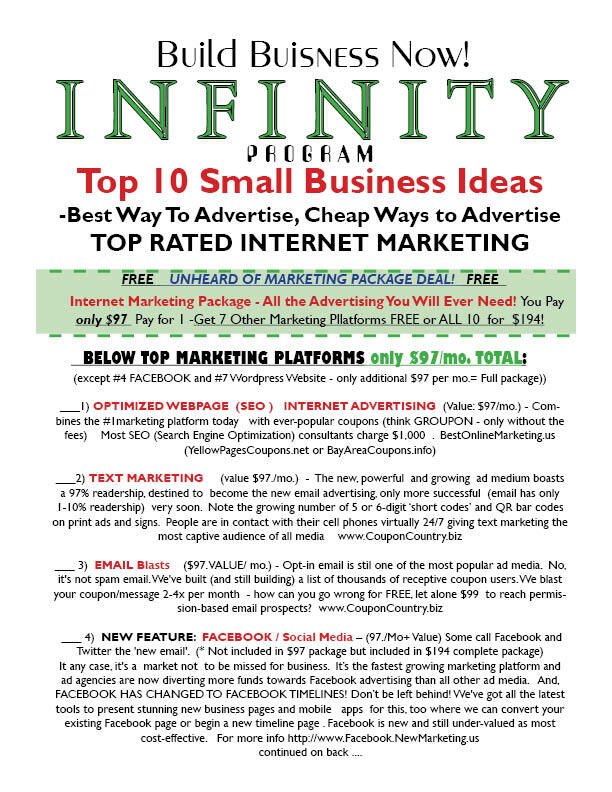 HAS YOUR RATE INCREASED SINCE YOU’VE ADDED THE LATEST INTERNET MARKETING FEATURES? 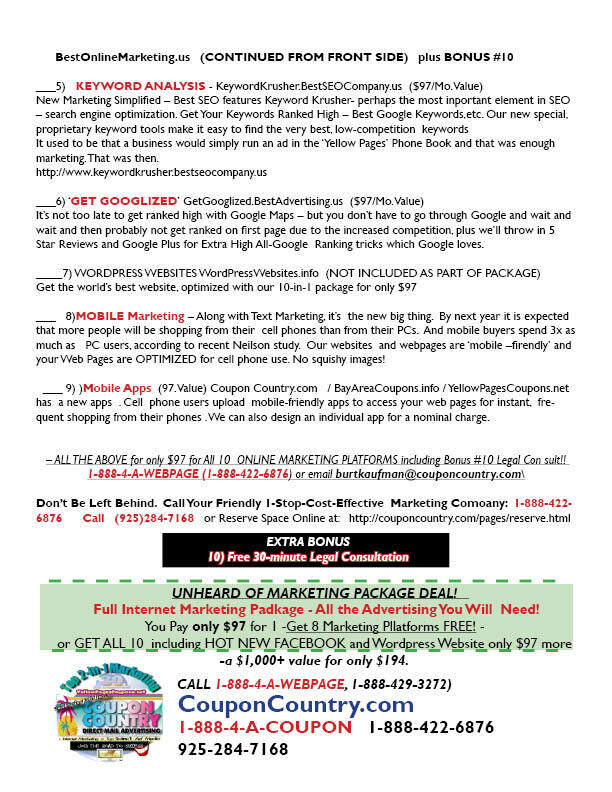 We also offer full FACEBOOK pages (#4 below) and full wordpress websites (#7 below) for another $97/mo. If your Summer was A Bummer WE CAN FIX IT NOW!